Data Aging makes it possible to distinguish between current – ‘HOT’ data and old – ‘COLD’ data within the SAP HANA database tables. Data in the tables are defined if it is ‘HOT’ or ‘COLD’ in a special temperature column with the tables. The entries in these columns partition the data in the table and make it possible to archive obsolete data in a transparent way. 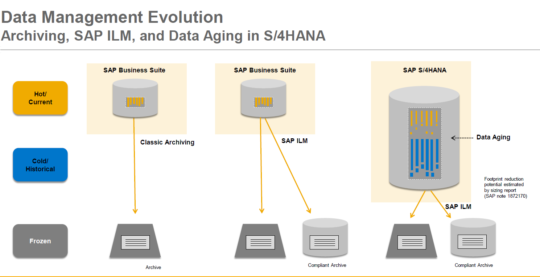 For more information on Data Aging for SAP HANA take a look at our FAQ page, where lots of questions are answered.